As we have already reported, Spirit – the untethered userland jailbreak for iPhone 3.1.3 and iPad 3.2 has finally arrived. For the end user, Spirit looks and works very much like Geohot’s blackra1n, and is available for both Windows and Mac OS X. Using Spirit, you can jailbreak (not unlock) all iPhone’s (iPhone (Edge), iPhone 3G and iPhone 3GS) and iPod touches (iPod touch 2G and 3G) running on the firmware version 3.1.3/3.1.2, and iPad and iPad 3G on firmware 3.2 – untethered. Note for iPhone 3G and 3GS Unlockers: Do NOT upgrade to the stock iPhone 3.1.3 if you you want to keep your unlock as doing so will result in upgrade of your baseband, which will make it almost impossible for you to unlock. This is strictly for those who are either on official supported carrier like AT&T, or have already upgraded to 3.1.3 and are stuck with it. IMPORTANT: Make sure that you have your SHSH files saved. You can jailbreak without saving SHSH files but you wont be safe once Apple patches the exploit used by Spirit. Follow the instructions posted here to save your SHSH blobs. The following guide will help you jailbreak iPhone 3G and iPhone 3GS (all versions) untethered on the latest iPhone OS 3.1.3. Step 2: You will need to be on the official iPhone 3.1.2, or iPhone 3.1.3 firmware on your iPhone. Download links for iPhone OS 3.1.2 and 3.1.3 are given at the end of the post. Step 3: Download Spirit for Windows or Mac (download link at the end of the post). 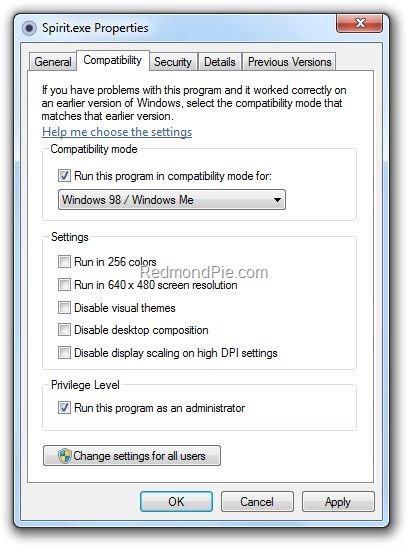 Also check: “Run this program as an administrator” option on the same window. Step 5: Let the app do its thing and wait for the app to show “Jailbreak Complete!” message. At this point, wait for the iPhone to automatically reboot. Step 6: Voila! 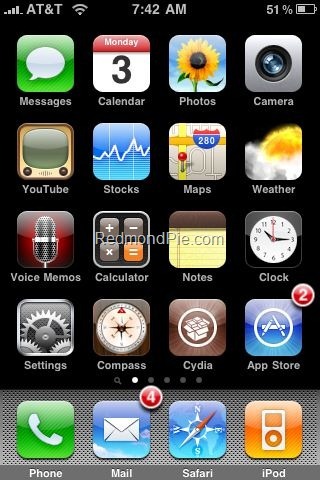 You should now have a fully jailbroken iPhone 3G/3GS running on firmware 3.1.2 or 3.1.3 – Untethered !. Want to Jailbreak your iPad? Follow the step by step guide posted here. mines saids connect my device when i ran spirit, please help. should i run the itunes or should i connected to internet when i use spirit to jailbreak? Is it possible to use it with i Pod touch 2G firmware 4.0? its taking forever for the jailbreak to load like its been at least 8 mins? Can I unlock my iphone, once I jailbreak it with spirit. Does anyone now how to jailbrake and ipod touch 3g, version 3.1.3, model MC??? Will the isntuccions above work as well? i’ve SCP into the phone and the applications are still there.